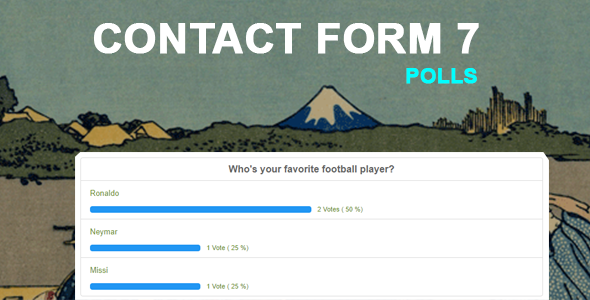 This add-on seamlessly integrates with Contact Forms 7 to easily add polls directly to your forms. You have limitless possibilities when it comes to creating and displaying your polls on your WordPress site. Using this plugin lets you easily gather your website visitors opinions. It’s a great way to host opinion polls and even capture people’s feedback via text opinion boxes!